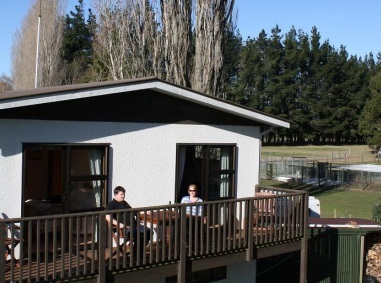 Miners Arms is an idyllic 10 acre lifestyle property on the western edge of Christchurch, only 10 minutes from Christchurch International Airport, and well placed for the city, train station, many tourist attractions, eateries and shopping centres. We have close and hassle-free access to the main roads north, south and west out of Christchurch, and so are an ideal touring base for Canterbury. Relax in our comfortable, attractive, private and well-equipped, first floor suite which accommodates a party of 1-5 guests. In addition to 2 bedrooms and bathroom, you will have your own comfortable lounge ï¿½ a home away from home. Soak up the country atmosphere while you enjoy a drink on your own balcony overlooking the property. Explore 10 acres of paddocks, woodland and plum orchard. The plums are a delicious summer treat. 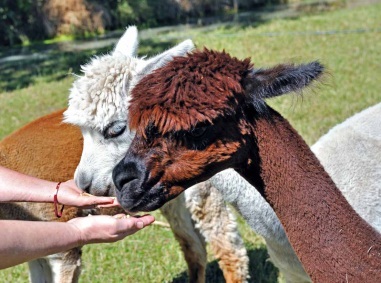 Meet our alpacas, sheep, chooks and Maremma sheepdogs. We appreciate help with feeding, and you can collect the breakfast eggs. If you click on our video link to the left, you can see them all as featured on TV's 'Animal Academy'. 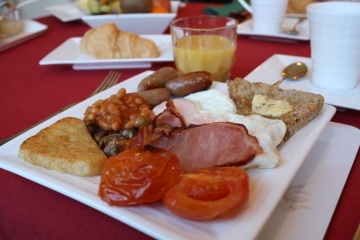 Enjoy breakfast of your choice in our breakfast room we serve a hearty cooked or continental breakfast using our home-made preserves, our own eggs and local produce. Use our free Wi-Fi to keep in touch by email or plan your onward journey. Travellers ourselves, we came from England originally, but have made New Zealand our home. 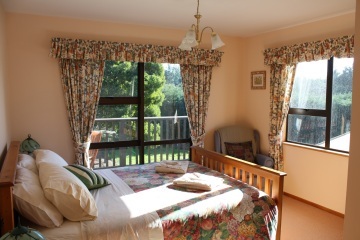 We enjoy meeting and talking with people from all over New Zealand and other countries, and aim to make your stay as comfortable and enjoyable as possible. We have lots of local knowledge and are happy to help you with your plans, bookings etc.